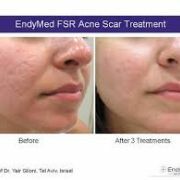 Endymed® is a revolutionary state of the art technology that uses radiofrequency waves to treat a variety of unwanted skin conditions and aging with minimal discomfort or downtime (and often none). 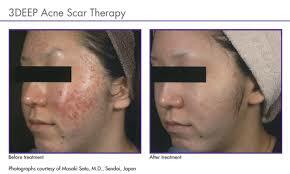 And because its radio frequency the treatments are suitable to all skin types. 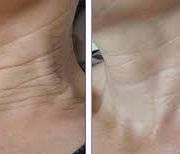 Endymed® resets the skin and whilst some patients experience immediate results, most results become apparent 6 to 12 weeks after treatments as the skin continues to improve as a result of the collagen induction and cellular rejuvenation activated by the radio-frequency waves. 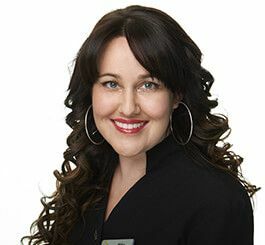 This means that maintenance treatments can range from a single treatment 6 to 12monthly up to 2 years for some lucky patients. Obviously results vary between individuals depending upon the severity of their condition, their nutritional, hormonal and general health status but hundreds of thousands of patients worldwide have benefitted from the Endymed® treatments including our own staff who trialed the device extensively before the decision to buy it was made. 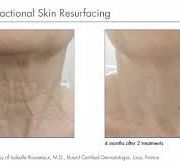 ARGERA already boasted the greatest selection of treatments specific to skin conditioning and thus did not need add to its arsenal. 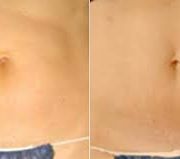 However, after experiencing the Endymed® results we felt compelled for our patients to also experience it for themselves, particularly as it filled gaps in areas such as cellulite treatments and cost effective body skin tightening. The system allows 4 specific types of treatment based upon the use of separate handpieces. 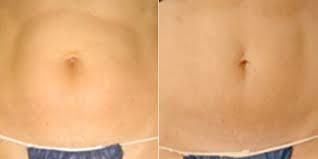 1.Endymed 3 Deep® Body - Cellulite, Body Skin tightening, Improved Stretch Mark appearance. This handpiece heats the skin to 42C over multiple passes that feel almost massage-like in quality. 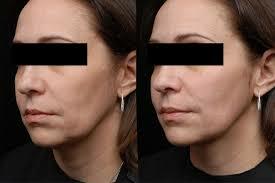 On average 3 to 6 treatments are needed at 2 to 4 week intervals. This handpiece heats the facial skin to 42C over multiple passes that feel almost massage-like in quality. On average 3 to 6 treatments are needed at 2 to 4 week intervals. 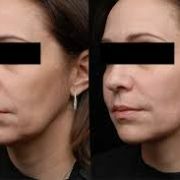 Using disposable tips this handpiece allows a series of needles (local anesthetic applied 1/2hr prior to reduce discomfort) to penetrate into the skin at programmable depths and simultaneously release radiofrequency waves directly into the dermis to maximize collagen stimulation and cellular repair. In most cases the skin is left with a redness for a few hours up to 48hrs, but is easily coverable by mineral and Oxygenetics® makeup. On average only 3 treatments are needed 2 to 4 weeks apart. Using disposable tips, this handpiece allows radio frequency waves to be directed from the skin surface to programmable depths through the epidermis to the dermis. This acts to resurface the top layers and has an anti-bacterial effect on acne, helps reduce pore size, excess oil production and prevent infective pustules. In most cases the skin is left with a redness for a few hours up to 48hrs, but is easily coverable by mineral and Oxygenetics® makeup. 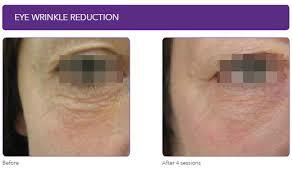 On average only 3 treatments are needed 2 to 4 weeks apart. 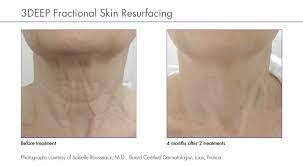 Endymed® can tailor to the patients skin needs by allowing the Intensif needling and FSR treatments to be interchangeable within a recommended package. 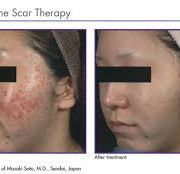 For example a patient might opt for an FSR treatment and then 2 RF needling, at no extra cost, if they want a general improvement in complexion and then want to focus on an area of milder acne scarring. 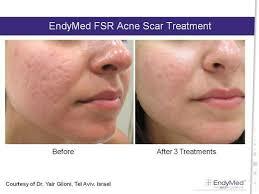 Alternatively they might want to stick with the recommended 3 treatments FSR package for acne and overall complexion enhancement. ARGERA offers packages on the recommended number of treatments to allow patients considerable savings. 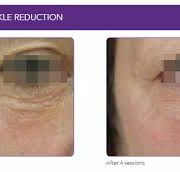 To determine the best treatment for your skin concerns, from the vast number of options at the ARGERA Centre ring for a consultation today with one of our expert medically trained staff.